1.2 The services provided by this website do not include the provision of computer or other necessary equipment to access odenservicesuk.co.uk To use the site odenservicesuk.co.uk you will require Internet connectivity and appropriate telecommunication links. We shall not be liable for any telephone or other costs that you may incur. 2.1 You are permitted to use our website for your own purposes and to print and download material from this Website for your own personal, non-commercial use provided that you do not modify any content without our consent. Material on this website must not be distributed or republished online or offline without our permission. 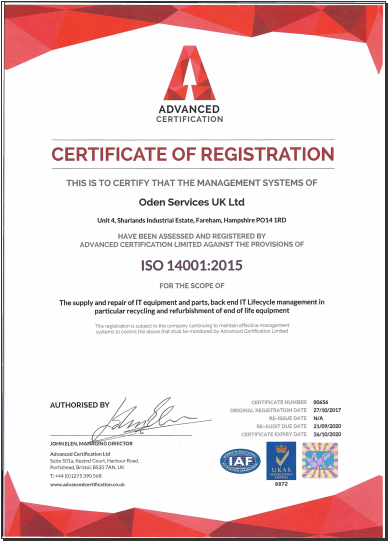 Our business's name is: Oden Services UK Ltd.
Our company registration details are: Registered in England.